Istanbul nightlife is lively in almost every streets in the city center. Wherever you are, you will never need to walk more than 200 meters to find a busy bar, café or nightclub. To help you figuring out where to go, I created the following map with all the most famous venues. Beyoğlu, previously named Pera, is a more recent part of town compared to the old town, Fatih. It is built on a hill and comprises the following famous areas: Istiqlal Caddesi, Taksim, Cihangir, Galata, Tünel and Karaköy. Taksim and Istiqlal Caddesi are popular areas with many things to do for tourists. They are very busy all year round with a large diversity of cafes, bars, clubs and restaurants. The best ones are located on small streets such as Balo Sokak (for cheap drinks and beer), Eski Çiçekçi Sokak (with Ziba, Indigo, Tektekçi) or Nevizade Caddesi (for eating). There are also many tourist traps. This area is perfect for first-time visitors because bars are easy to find and most are open every day, in winter and summer. Cihangir is chic and popular with expats. Most of the action is on Siraselviler Caddesi and Akarsu Yokuşu street. Famous venues include Smyrna, Kiki and MiniMüzikhol. The area of Tünel - Galata - Asmali might be the densest in Istanbul in terms of nightlife spots. If you don't know where to go, you can start with a drink in the street Asmali Mescit or in Sofyali Sokak, in the western part of Istiqlal Caddesi. There you will find bars, bars and more bars all lined up next to each other. They are normally busy from Thursday to Saturday night. Some of the popular ones are Parantez, Narrdo, Otto and Kasette. There are many more, just go there and pick the one you like. Alternatively, you can take Serdar I Ekrem Caddesi. Karaköy, in the south of Beyoğlu, used to be an industrial zone but it has gentrified recently. Unsurprisingly, it is the hotspot for hipsters. If you don't know where to go, you can visit the street Hoca Tahsin Sokak first. Bars in Karaköy are quite similar from one another. with concrete floor, exposed bricks, vintage lights, recycled furniture, average food and the same playlist of cover songs. The more famous is Unter, but you have dozens of other ones like Fosil, Dem, Gaspar, Kapi Bar, Nest, Mitte, Colonie, Pan, On-Off. On the weekend, some of them are so packed that customers must stand in the middle of the street. Beşiktaş is the second most famous municipality when it comes to nightlife. It is also more prestigious and expensive, particularly all the bars, restaurants and clubs located along the Bosphorus in the districts of Bebek and Etiler. The most famous are Reina, Sortie, Lucca or Anjelique. Those venues cater to a different type of clientele, a mix of wealthy tourists, expats, rich locals and "celebrities". If you have money to burn and you want to be surrounded by beautiful people, that's the place to go to. As mentioned before, it is more popular during summer when the terraces are open. Şişli is more of a residential area, but some districts can be interesting for the party-goers. The affluent Nişantaşı neighborhood is home to many upscale bars, cafés and restaurants. The bar at the Saint Regis hotel is crowded and stylish. I don’t recommend to visit if you are interested to socialize with strangers. People there tend to stay between themselves. The chic W Lounge in W Hotel is also nearby. Fatih is the area of the old city of Istanbul. It is where the blue mosque is located. In Aksaray district, you can find several bars, some of them with prostitutes from Russia and Eastern Europe. The most famous are Gold Can, Bacardi, Big Pub and Balance Club. Finally, Kadiköy is on the Asian side of Istanbul. While many bars and cafés there are pretty cool, I would suggest avoiding it as it is far from the rest of the cities’ best places. Kadiköy is reputed for its rock/indie scene with bars such as Zeplin, Gitar cafe, Woodstock, The Beatles, Shaft or Zapata. You can go to the street Kadife Sokak and visit Karga or Arka Oda. You will also find many "turku" bars with traditional Turkish music and older clients. 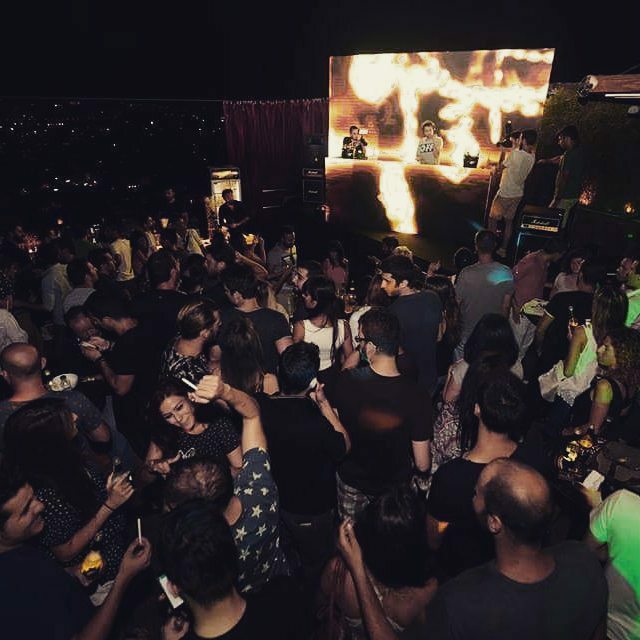 If you are into clubbing, Kadiköy has only a few places with DJs like Mekan and Monks. 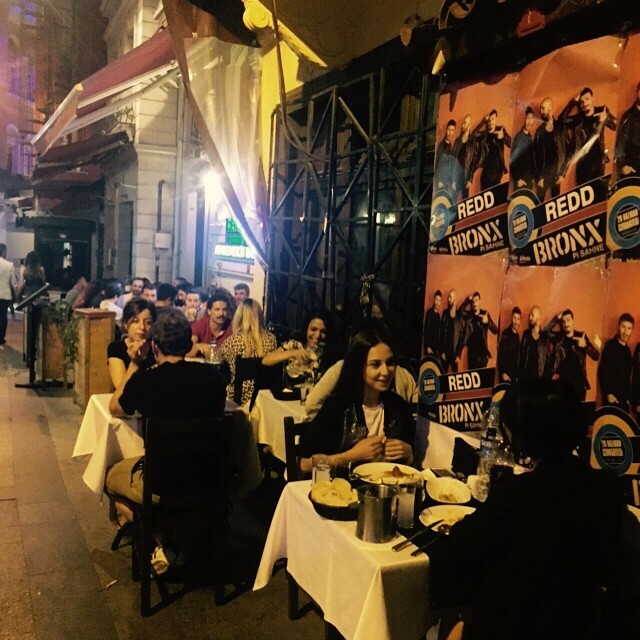 Istanbul Nightlife: Best Bars and Nightclubs: Nightlife Areas in Istanbul: Where to Party?